Over the past few weeks, I've quickly adapted to the Lenovo IdeaPad Yoga 11S Ultrabook convertible. 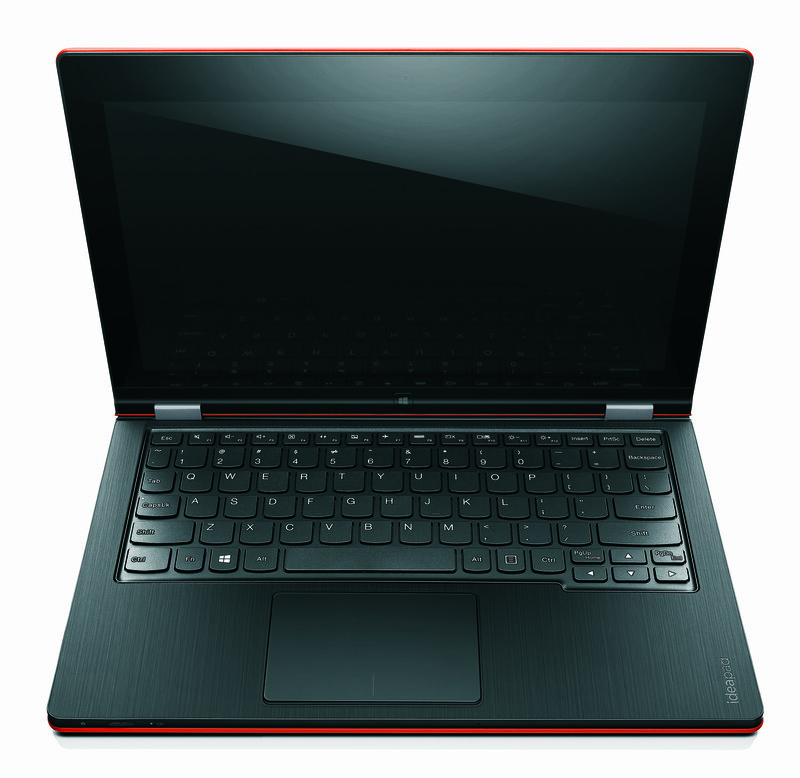 This 11.6-inch ultrabook has a unique 360-degree flip and fold design, with the ability to use in tent, stand, tablet or laptop mode. I have mainly been using the Yoga 11S as a laptop but love watching movies or catching up on my favorite tv shows in tent mode with the convertible's rich Dolby Home Theatre Audio. Since I just got through the Spring 2014 season of Mercedes-Benz Fashion Week here in New York, this ultrabook has been perfect for scrolling through fashion show images and watching videos in tent mode. I love being able to just swipe through each look via touch-screen instead of having to click through each image. As a laptop, I mainly use it for email, blogging, social media, cropping photos, video editing, and indulging in my Candy Crush addiction. It was easy for me to open PDF files in Nitro Pro 8 and download Paint.NET and Windows Live Movie Maker. This was also my first time using Windows 8. 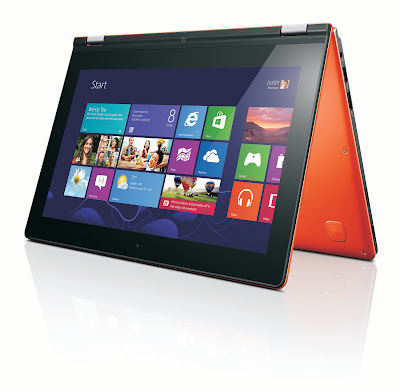 I love the multi-touch screen features, which makes it easy to review photos and access SkyDrive files. There are two USB ports, which is a must-have for me to charge my phone and access flash drive files. The 2-in-1 card reader is also an important feature for me, so I can easily access images I take with my DSLR camera. The Yoga 11S is just as fashionable as it is functionable, with a soft-touch exterior and Clementine Orange color (also available in Silver Grey but I prefer it in Clementine Orange). Although I love the texture of the soft exterior, it can be more prone to scratches or dents, so be sure to keep it in a sleeve or case if you plan on using it on-the-go. 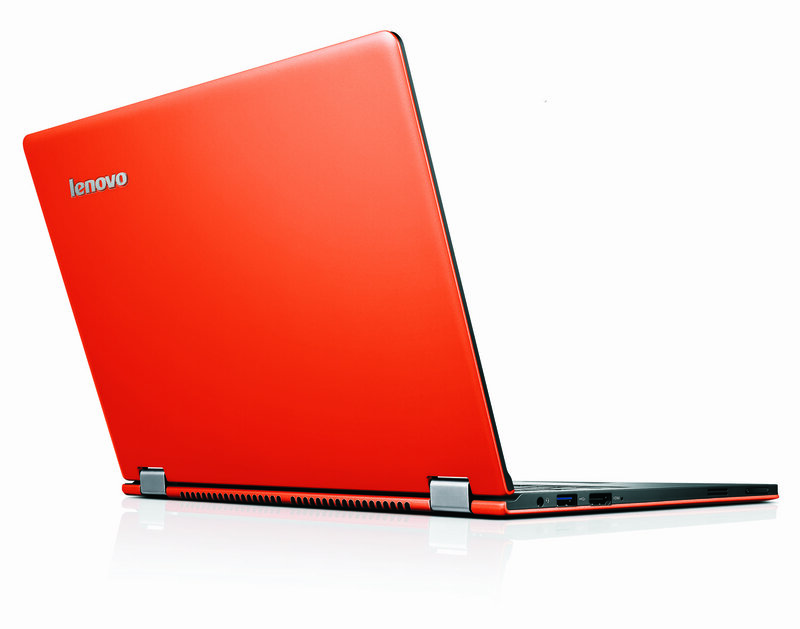 It's stylish and slim, and easy to travel with. The keyboard is easy and comfortable to type on. 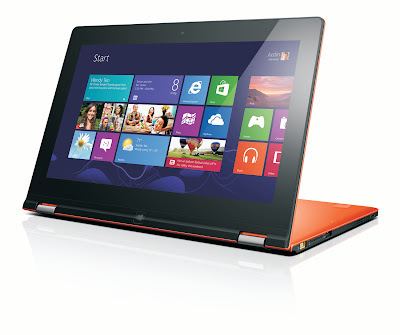 The Yoga 11S weighs in at 3.1 lbs at 0.68" thick, with 6 hours of battery life. 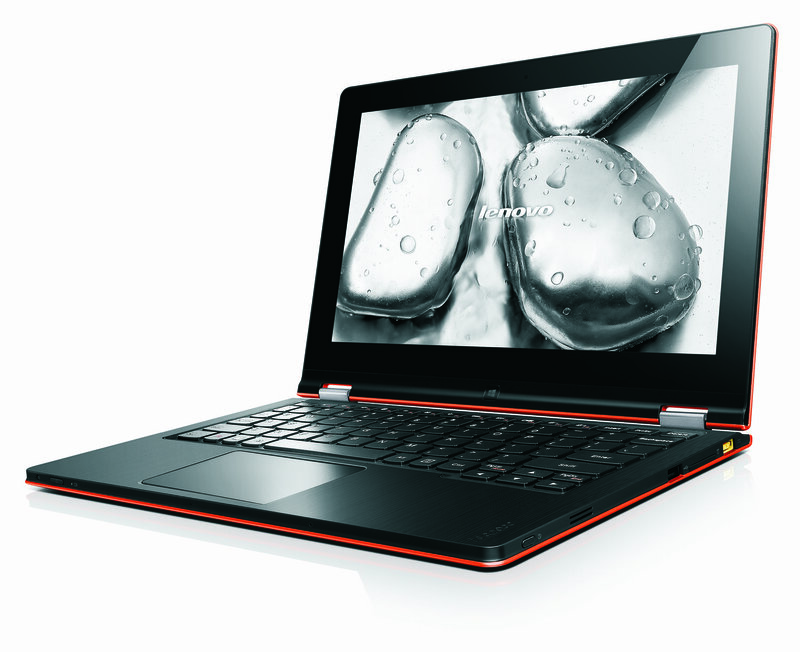 It has Intel® HD Graphics 4000 (integrated), up to 3rd Gen Intel® Core™ i7 processor, up to 8GB DDR3 memory and up to 256GB SSD storage. 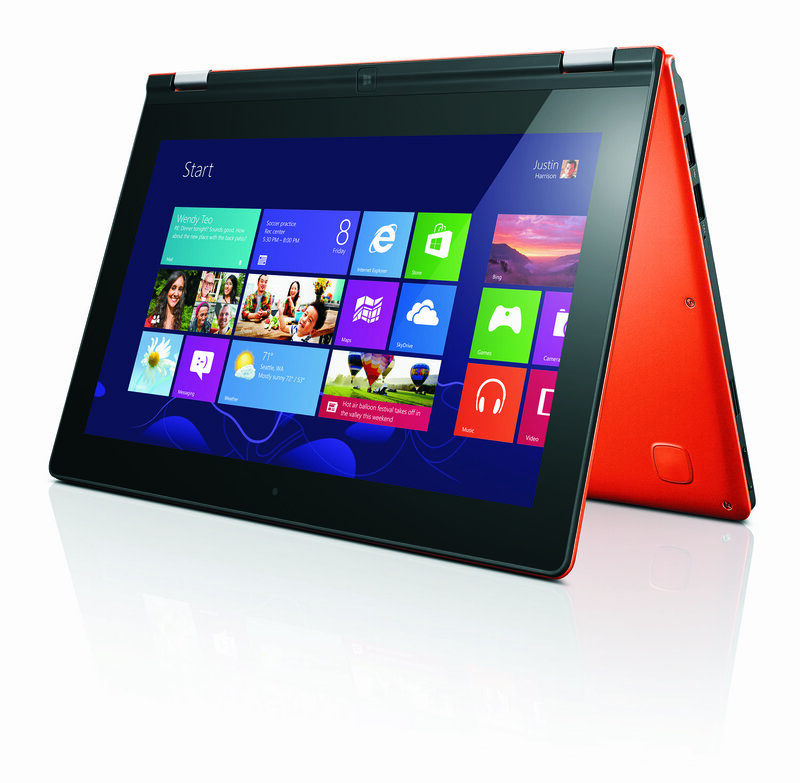 The Lenovo IdeaPad Yoga 11S is available at lenovo.com and bestbuy.com with a list price starting at $799.99.